In the heart of St Albans Atlas Translations Ltd offer a smörgåsbord of professional bespoke language services to our clients, including written translation, spoken interpreting, brand name checking, voiceover production and more. Using teams of carefully selected professionals, we have over 5,000 suppliers based across the globe, all covering a variety of specialisms and a staggering 340+ languages. BRE is a world leading multi-disciplinary building science centre with a mission to improve the built environment through research and knowledge generation. BRE helps government, industry and business to meet the challenges of our built environment. Today’s need to combat climate change, and the significant economic and social issues we now face, are no exceptions. 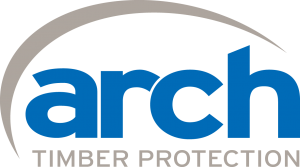 Arch Timber Protection, a Lonza company, is the leading European supplier of products and processes for the effective preservative and fire retardant protection of timber. We help extend the service life of timber giving it real life performance in real world environments. A bit like Ed will need! Good luck Ed and the rest of your team. Highland Park is made today with the same enduring belief and integrity, to the same exacting standards, as it has been since 1798. The established attitude at Highland Park is one of custodianship rather than management, of tradition rather than novelty. This approach accounts in some way for the appeal of Highland Park; there is much more to how the remote site of an illicit still became The Best Spirit in the World. Highland Park is arguably the most respected single malt in the world. As everyone knows, respect has to be earned; our distilling tradition, attention to detail and honesty have combined to achieve just that. Sioo are leaders in wood protection using silicon technology to provide a highly effective proven system to protect wood of all types. It gives long life, a beautiful natural surface and is friendly to people and the environment. Based at 48 London Road, St Albans we offer the best lettings and property services in the market and take great pride in our commitment to customer services. Each of our offices is owned and operated by local people, as we feel this gives us the best chance of providing a great service for our customers. As a long established and highly respected commercial law firm in St Albans and now London, we offer clients first class legal services delivered by lawyers with sound business skills. Our client base ranges from multinational retailers to family-run businesses and we can match the capabilities of the larger London firms. We have a reputation for being approachable and supportive while retaining a commercial edge that clients typically require. We are one of the world’s leading companies in the wood preservation industry and offer a highly competitive product range. Founded in 1911 by the wood preservation pioneer Dr. Karl Heinrich Wolman we can look back on over a century of experience in the preservation of timber. Grown in Britain is creating new sustainably-managed woodland to increase the supply of British timber destined for use by local people and businesses. Whether it’s to heat our homes, in the construction of new buildings, or for retailers to create wood products that shape our everyday lives. The opportunities and the benefits of Grown in Britain are for the environment, society and our local economies. Grown in Britain is offsetting Ed’s North Pole journey by planting new commercial woodlands in Britain that will provide sustainable wood for our future needs. The Lions are an international group whose vision is to be the global leader in community and humanitarian service. The Lions mission Statement is to empower volunteers to serve their communities, meet humanitarian needs, encorage peace and promote international understanding through Lions Clubs. They do great work in my community of St Albans. Accsys Technologies PLC is a chemical technology group, focused on the acetylation of wood. The primary focus is on the production and licensing of Accoya® solid wood and Tricoya® wood elements technology. Manufactured through the company’s proprietary acetylation process, these products exhibit superior dimensional stability and durability compared with other natural and treated timber and wood elements (wood chips, fibres and particles). On Upper Marlborough Road, St Albans, Rayden Solicitors is an award winning specialist firm of family law solicitors, founded in 2005 by Katherine Rayden. We have grown to be the largest family law firm in Hertfordshire and our clients are based across the county, in London, throughout the UK and internationally. We are a firm of experienced Chartered Financial Planners and Independent Financial Advisers (IFAs), possessing extensive market knowledge. We provide independent financial advice, planning and guidance to individuals, as well as supporting corporate clients with employee benefits solutions and company specific financial advice. We support clients nationally and have four offices based in London, Hertfordshire and the Midlands. 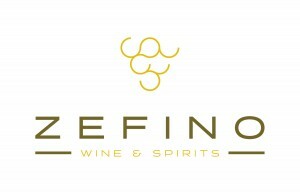 Zefino Wines & Spirits, 5 George Street, St Albans are a fine wine and spirit shop like no other. The owner Ferenc Zelenak’s infectious enthusiasm for wine is only surpassed by his extensive knowledge and talent at finding wines to suit your occasion. A gem of a shop rightly being hailed by plaudits since opening in Autumn 2015. Since opening our doors in December 2000 Headcase Barbers have pushed to restore the reputation and image of the traditional mens barbershop to what it once was, the cornerstone of society where families are made to feel comfortable and welcome, and where men of all ages know they’ll get a professional and thorough service from people they trust. The Wood Marketing Federation was set up in Ireland in 1989 to increase the knowledge and understanding of wood and wood products and to promote its use in construction and design. Vinotopia are a modern, independent, online wine merchant based just outside Tetbury in the heart of the Cotswolds. We are delighted to support Ed in his Arctic endeavours and we hope you enjoy the wine supplied for the Snow Ball! easyJet, headquartered in Luton, is Europe’s leading airline offering a unique and winning combination of the best route network connecting Europe’s primary airports, with great value fares and friendly service. easyJet aims to be a good corporate citizen, raising over £6m for its charity partner UNICEF since 2012 as well as supporting a number of local charities and impressive challenges like this one! 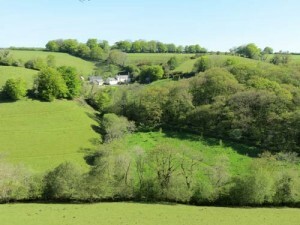 We’re called Down Farm and are situated in an organic south facing Valley on the fringes of Exmoor, surrounded by other organic farms and fantastic views. We’ve over 50 acres of fields and woodland for you to explore. Copper Kettle Cottage and Ladybird Barn are the guest accommodations are almost in the centre of the land along with the main farmhouse. The ancient woods complete with treehouse are lower down to the right, the new wood below that and the lake. Collect your own eggs in the morning and within striking distance of North Devon’s stunning beaches and Exmoor this is the perfect farm holiday. BREATHE EASY: The MANSON Group are the print partner for your publication‎s. We are one of the UK’s leading specialist publication printers. And that’s printing of all types of publications – dailies, weeklies, monthlies, annuals and one-offs of every sort, such as event catalogues and company publications. Radio Verulam is the Community Radio station for West Herts. 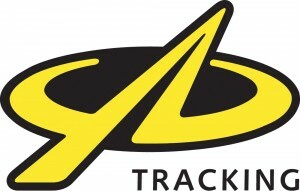 Based in St Albans, we broadcast on 92.6FM and online at www.radioverulam.com. We are entirely run by volunteers and are a not for profit organisation. For fifteen years a steady campaign in St. Albans and surrounding towns and villages kept the hope alive to protect the building and see it returned to its original glory. Its new name – The Odyssey (in homage to the work of Stanley Kubrick alongside the notion of journey) – was announced on Sept 12th 2010. We saw a huge fundraising push to find the £1.5million needed to bring the cinema back to life over the following three years. We finally opened in November 2014. The Slug & Lettuce on Victoria Street St Albans is a stylish and spacious bar the perfect place to meet and mingle so whether you’re popping in for a quick coffee, stopping by for something to eat or indulging in some serious partying after a long working week, you can guarantee a genuine and friendly atmosphere topped off with fantastic staff. Based in Bricket Wood Sparshotts red vans deliver fresh fruit and vegetables to private and commercial clients across Hertfordshire. Established in April 1935 in Hatfield by Mr Cecil Sparshott where he opened his first shop. The business is still family owned and run. For every veg box ordered in February 2016 Sparshotts will donate £1 to my charities, so that’s good value fresh produce delivered to your door as a one off or repeat PLUS it raises money for my chosen charities. Its a ‘win win’ so check them out www.sparshotts.co.uk and get your orders flowing from Monday 1 Feb! You can select ready chosen boxes or build your own. Swallows Cottage is a stunning 18th century thatched cottage situated in Shitterton, on the outskirts of Bere Regis. This picturesque property has two bedrooms and can accommodate up to five people in comfort. The cottage has a large lounge with open fire, TV and DVD, a large, fully modernised kitchen-diner that opens on to the garden and looks out over fields beyond. It is a beautiful part of Dorset for exploring the diverse coastline. One of Britain’s oldest family sawmilling enterprises. They supplied the keel for Captain Scott’s ship Discovery back in 1901 and have a great affinity with polar exploration. 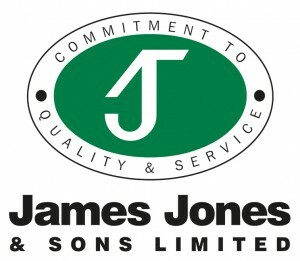 Today they commission state-of-the-art sawmills, and James Jones & Sons Ltd has led the timber industry in innovation and research delivering low carbon products for a better future. Warming St Albans with award winning pasties available in store on Market Place, St Albans. 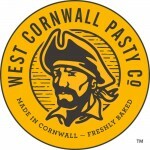 We wear our Cornish name with pride, basing our bakery and kitchen in West Cornwall. Each one of our pasties is 100% handmade using traditional techniques. Every pasty has been hand crimped to help seal in flavours, tastes and textures to authentic perfection. Designed and Built in Great Britain and Proud of it Yellow Brick products allow tracking and communication between people anywhere in the world. We make a range of rugged waterproof and drop proof handheld devices that are reliable and real world tested. Sarah, the Personal Trainer behind Hourglass Fitness, is helping Ed build core strength and get into peak physical fitness for the challenge ahead. 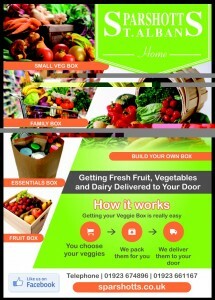 Glint Media have helped Ed massively by setting up this website and sharing their expertise in marketing and promotion. Geoff McCann has been practising yoga for over 35 years, he is a highly experienced and sought after yoga teacher, working in a number of venues in St Albans and Hertfordshire. Yoga is great way to maintain flexibility – Ed is becoming bendy!